The Vanilla Islands is a new brand that encompasses Seychelles and five other Indian Ocean nations - promoting a positive impact on Eden Island properties. The Vanilla Islands is an alluring collection of locations that includes Seychelles, Madagascar, Mauritius, Mayotte, Reunion and Comores. Together, these countries have formed a new brand with the goal of marketing Indian Ocean islands under one label, which is supported by all affiliates. For travellers, this new initiative has made the Vanilla Islands fully connected with visa-free travel now being facilitated. This venture was conceptualised by the associates of the six isles, who wanted to create a highly sought after holiday area for tourists. Vanilla is grown on four of the six islands, which helps with the homogenous promotion of this brand. Soon, visitors will be able to travel effortlessly between these archipelagos with minimal paperwork. People will now be afforded the luxury and convenience of being able to tour all of the islands in one trip with ease. This is good news for investors, as it will make the location immensely popular to holidaymakers. In the Seychelles archipelago, the development of Eden Island is fast becoming the ideal choice for those looking at holiday property for sale. Here, you will see an excellent return on investment due to steady tourism figures, idyllic beauty, low crime rates and an already established brand. Putting stock in this highly sought after archipelago – and especially in the exclusive marina development of Eden Island – has a variety of benefits as an overseas investment. · High appreciation values – Property is always a sound investment to make, even during a global recession. This is especially true for real estate on Eden Island. With property resale values increasing between 10% and 30%, a homeowner can expect a profitable return. In terms of leasing income, many of the homes on the development are being rented to tourists at a steady return, which varies depending on the length of the lease and the type of property. Eden Island offers the choice of villas, maisons and apartments. 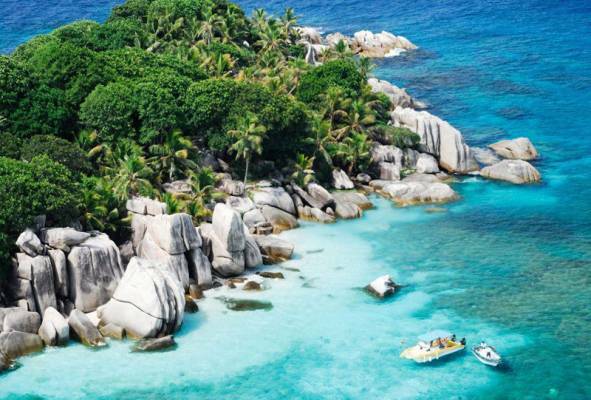 · Island appeal – Seychelles is unsurpassed in its splendour as it's both scenic and modern. Similarly, Eden Island attracts many tourists with the allure of private beaches coupled with numerous contemporary luxuries. This has a lucrative effect on resale values down the line, ensuring that your investment is a sound one. · The Vanilla Islands brand – Eden Island is already globally established. However, with its affiliation to the Indian Ocean six, its worldwide status will continue to grow from strength to strength. With the new convenience of being able to fit all of these extraordinary locations into a single holiday, a substantial number of people will want to visit and rent property on these islands. · High demand – Property sales on Eden Island have been very successful, despite worldwide monetary depreciation. This is very promising for future performance, as it suggests that values will rise along with the strength of global currencies. Contact Eden Island today to find out more about investing in property and benefiting from the new Vanilla Islands brand.